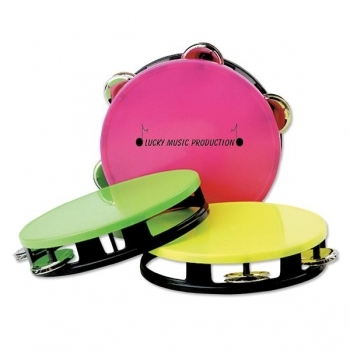 How about gushing up audience for a big game with the custom black/ neon tambourines imprinted with your brand name? 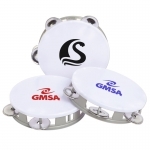 These tambourines definitely add excitement and fun to any sports event. It features a plastic black base to match with the instrument’s bold cap. These are available in assorted colors. Everyone will look on these musical instruments that make the place lively. 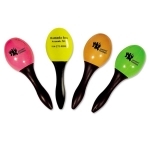 So a brand imprint on these promotional black/ neon tambourines are bold enough to get noticed in the crowd. These are approved products by CPSIA and hence could be given even to children. 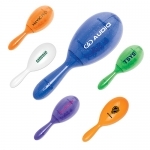 They can use these musical instruments for their holiday party, school games, cheer leading events etc. the personalized black/ neon tambourines measures 51/2” and are light weighted. 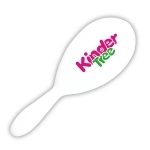 These are available as blank products.